A LARGE NUMBER of actors and theatremakers have written a ‘letter of concern’ to Minister for Culture Josepha Madigan about the direction the Abbey Theatre has taken. The letter, seen by TheJournal.ie, specifically refers to the direction taken by the national theatre since the appointment of its Directors Neil Murray and Graham McLaren. Both took over from the previous Director, Fiach MacConghail. Under their remit, the theatre has had a particular focus on diversity, and also on offering events such as free preview shows to make the theatre more accessible. The letter criticises the number of international productions and co-productions put on in the theatre since 2016 when McLaren and Murray took over. It says that in particular, freelance theatre professionals have been affected. The letter claims that the the theatre is now producing fewer in-house productions, which is causing “devastation among our ranks”. It says that the management’s strategy of offering diversity to audiences is “admirable in theory, it offers up several problems in practice”. directly employed by our National Theatre. The letter also criticises the decision to put on the Canadian-British production of Come From Away at the theatre over the Christmas period. It concludes by asking that the National Theatre “engages in a greater percentage of inhouse productions, as opposed to co-productions or buy-ins”. It also demands that performers, directors and designers whose work is used by the National Theatre “are given National Theatre terms and conditions, along with every other employee in the building”. Neil Murray moved to the Abbey from his role of executive producer at the National Theatre of Scotland, while Graham McLaren worked at the National Theatre of Scotland as its associate director before moving to the Abbey Theatre. In a statement, The Abbey Theatre said it had “huge respect” for the artists who signed the letter and said it would take their concerns “very seriously”, adding that it would seek to meet the signatories at the earliest opportunity to discuss their points. 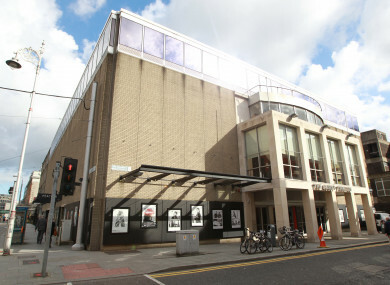 The theatre said that high-quality work had been welcomed from Irish companies and artists in recent years, which was borne out by audience figures, indicating that the range and diversity of the programme has had a proven appeal. Email “Actors and directors write to Minister over 'deep concern and dissatisfaction' with Abbey Theatre's direction”. Feedback on “Actors and directors write to Minister over 'deep concern and dissatisfaction' with Abbey Theatre's direction”.